AMD launched four new Ryzen desktop processors this week, codenamed ‘Pinnacle Ridge’, that are built using the latest 12nm Zen+ architecture. The new processors are the Ryzen 7 2700X, Ryzen 7 2700, Ryzen 5 2600X and Ryzen 5 2600. AMD tweaked a number of things on its new Zen+ architecture and claims they were able to get up to a 15% performance boost in common tasks like gaming over a 1st Gen Ryszen processor. How was AMD able to get such a large performance improvement for their 2nd Generation Ryzen processors? 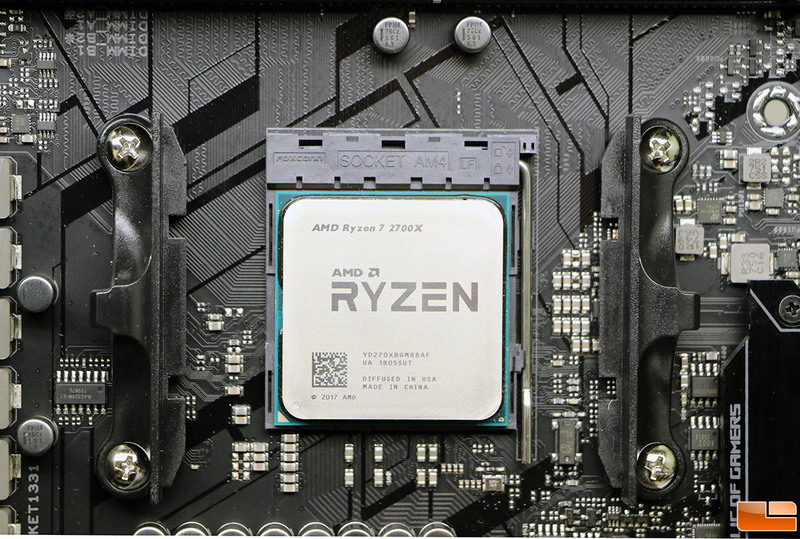 Today we are taking a closer look at the AMD Ryzen 7 2700X Processor with Wraith Prism LED Cooler that is sold under part number YD270XBGAFBOX for $329.99 shipped. We’ll be testing AMD’s new flagship processor on the ASUS ROG Crosshair VII Hero (Wi-Fi) (X470 chipset) motherboard ($299.99 shipped) paired with G.Skill Sniper X series 16GB (2x8GB) DDR4 3400 desktop memory kit ($229.99 shipped). This adds up to around $860 for the core platform we are testing, but represents what a high-end build would look like. 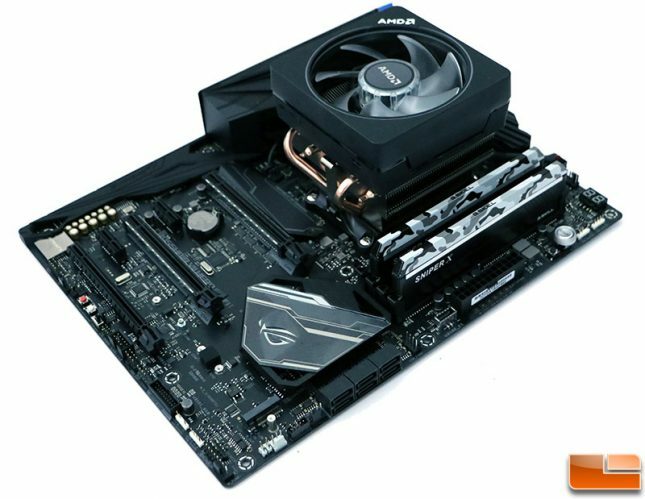 There are multiple AMD X470 boards for under $150 and less expensive memory kits. Our coverage today is going to be unusually short and to the point. This is because the fixes for Meltdown and Spectre have forced us start our CPU benchmark charts over and we have spent the past week sick with the flu. We have tested over 30 processors over the past 1.5 years with that test suite, so it really hurts to walk away from it. The ‘old’ data is still very valuable, but we need to stay current. 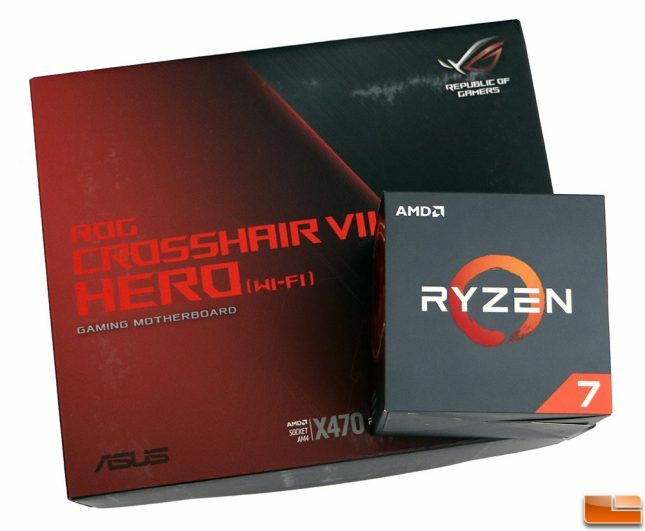 The AMD Ryzen 7 2700X 8-core, 16-thread processor is the new flagship desktop AM4 processor and it has a 3.7 GHz base clock and a 4.3 GHz max boost clock for $329.00 shipped. 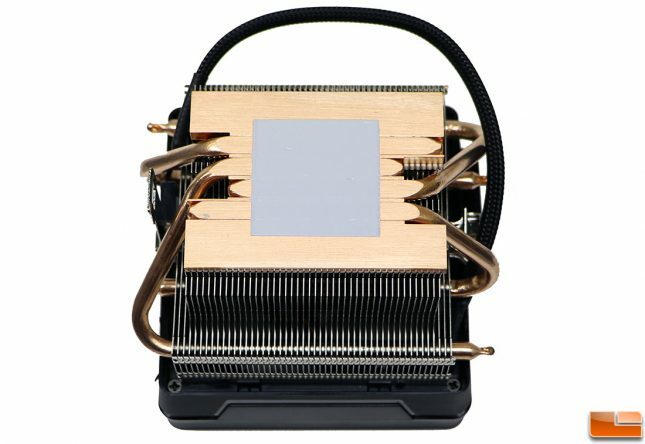 AMD bumped up the Thermal Design Power (TDP) by 10 Watts, which makes this a 105W processor. Despite being a 105W processor it should work in all ‘old’ AMD X370 chipset boards without any issues as pretty much all of them were overbuilt. 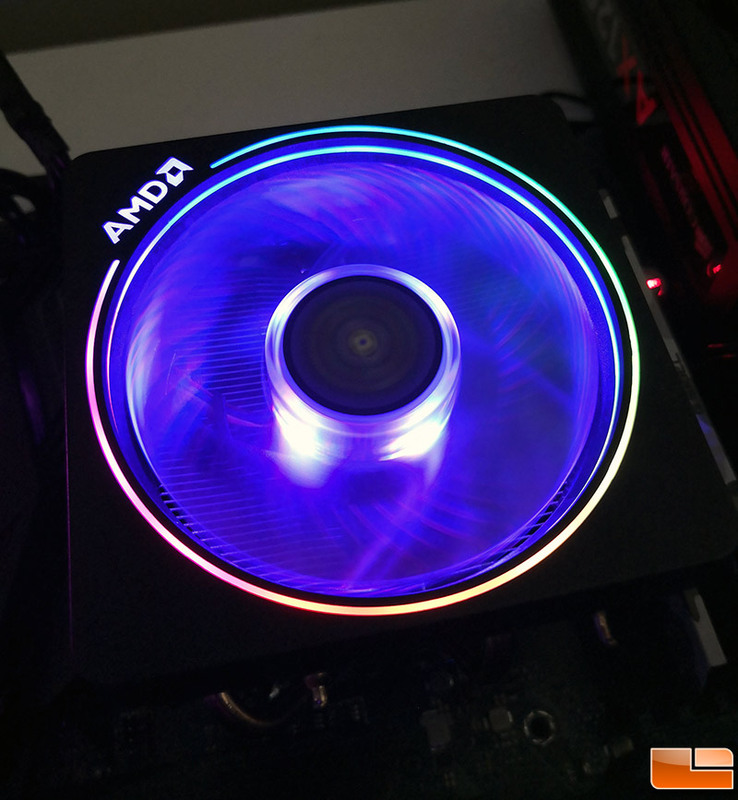 AMD includes their best Wraith Prism Cooler with RGB LED lighting that has direct contact heat-pipes for this flagship part. We should note that this is the only 2nd Gen Ryzen processor that comes with the Wraith Prism cooler. Most sites will likely be talking about the AMD Wraith Prism cooler and how it has sweet looking color-configurable LED illumination and how it makes any PC look amazing. That is sweet and we like that users have RGB color control on compatible motherboars like the ASRock RGB LED, ASUS Aura sync, Biostar VIVID LED DJ, Gigabyte RGB Fusion, and MSI Mystic Light. Fun lighting is sweet, but it is what is on the bottom that you never see that is important for a CPU cooler. The AMD Wraith Prism LED Cooler is surprisingly well built for a cooler that is packaged with a processor. 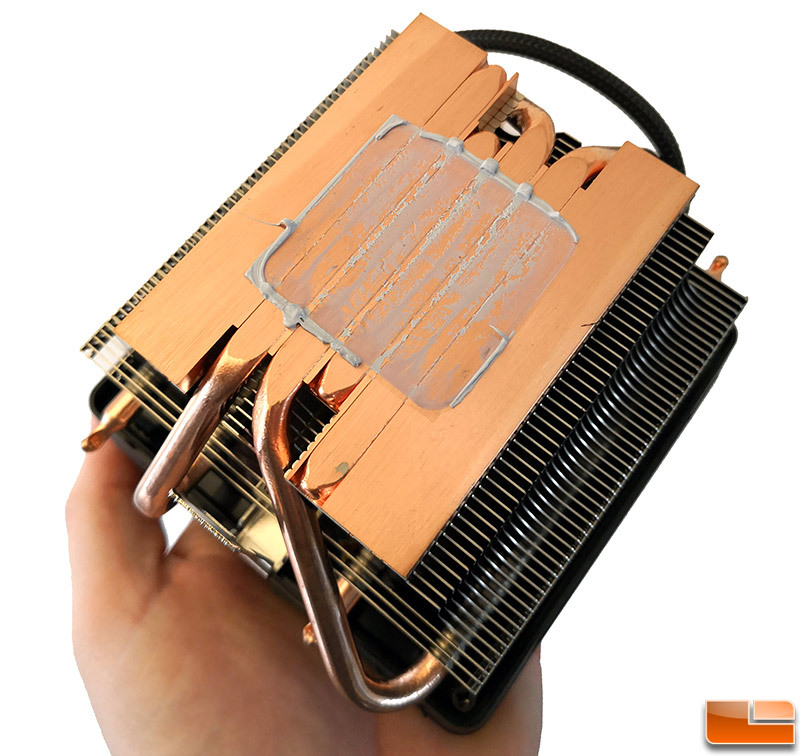 You have four direct touch copper heatpipes and pre-applied thermal paste. The pre-applied thermal paste covers the processor and all the ‘gaps’ on the baseplate really well. You can see the what the coverage looked like when we removed the Wraith Prism LED after testing the 2700X above. Did we mention it looks great? Let’s take a look at the test system and look at some numbers!